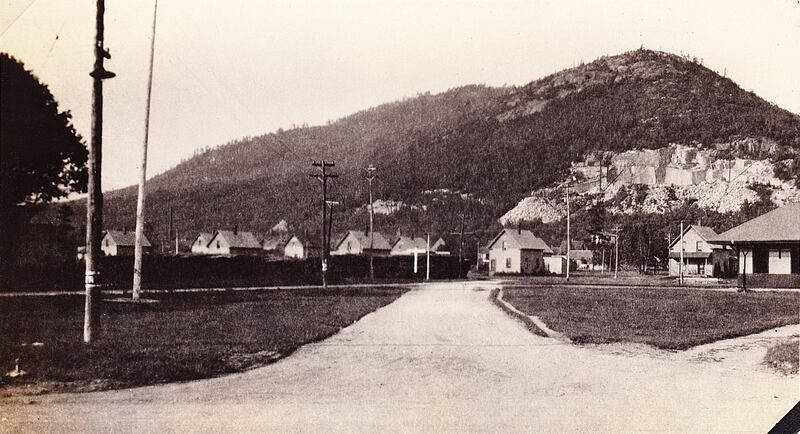 A great photo from 1922 of part of Redstone Village with the Quarry behind it. The Derricks used to move the stone are visible up in the quarry. Photo courtesy of Robert J. Girouard Collection.